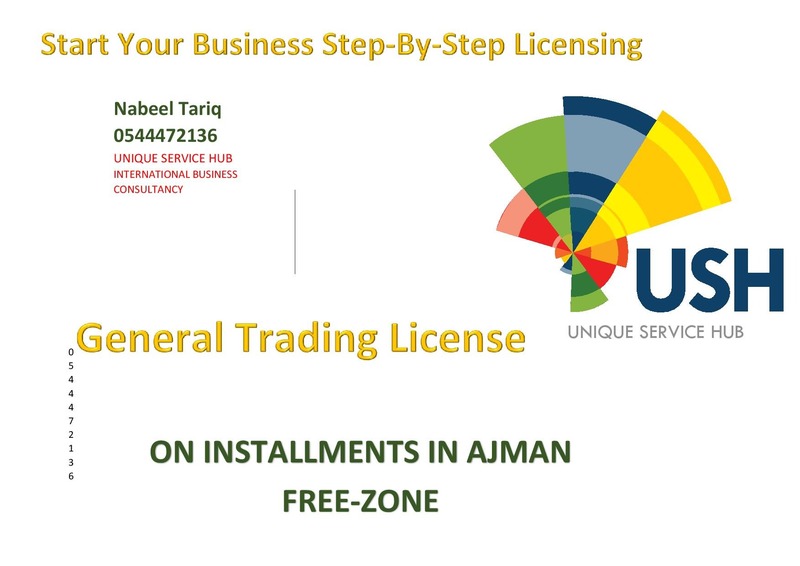 General Trading Import and Export License is for Sale on Six Installment as low in Ajman Free Zone. You will be 100% owner of your trade license. SIX Installments cover everything like Trade license, Chamber of Commerce Certificate, Office Lease Agreement, Establishment Card and a smart office with free furniture and free electricity. You will get 2 visas and can also sponsor your family too.